The urban population is surrounded by harmful substances. From pollutants to toxic radiation, everything is harming the wellbeing of an individual. People even feel unsafe while taking medicines due to the listed side effects. This is where the benefits can be availed from the natural medicines and techniques to cure various ailments. Hair fall is not an ailment as it happens to most of the individuals but the rate varies due to the difference in parameters like lifestyle choices and food habits. There are many over-the-counter formulations and cosmetic surgeries that promise lush growth of hairs in the bald areas but all come with unavoidable side effects. Ayurveda, on the other hand, is a 5000 years old natural healing system that has been practiced by the sages. The findings and knowledge in this segment are now being utilized considerably by the contemporary pharmaceutical companies to come up with natural solutions for certain ailments. These 100% natural formulations are not only effective but safe to use. No one likes to see himself bald one day. It is an inevitable process. As mentioned earlier, the rate can be slowed down to a huge extent with the use of natural remedies prepared by the leading ayurvedic companies in India. This eminent brand is working in 18 states with all total 35 national distributors. It is a ISO certified company that operates in pan India and also exports natural products to more than 25 countries. Initiated in 2006, this company has been authorized by the government to sell ayurvedic medicines. For the last decade, this company has achieved a lot of accolades. The products are now being exported to the foreign soil thus enriching the entire world with the blessings of natural therapy. This company is targeting a turnover of INR 10,000 Crore at the end of this year. This company boasts on the sales figure that depicts a whopping 300 million products purchased by the families worldwide every year. The initiation of herbal products was done on 1930 when Mr. M. Manal started to research natural medicine and made tablets. Since then, the company did not stop shining. It is expected that Himalaya will achieve $1 Billion turnover by the end of 2017. Baidyanath, initiated in 1917, owns 700 formulations that are sold in India and outside. It also has a research institute to find newer and better applications of natural remedies. It has 13 certified manufacturing facilities spread in Madhya Pradesh, Uttar Pradesh, and West Bengal. The estimated turnover of this company is INR 200 Crore. This 43 years old company is a big competitor in the ayurvedic and natural medicine section. The company took over Himani, a century old company, in 1978 and started to venture in natural medicine. Since then, the company has a promising growth with a steady 13% CAGR every year for the last five years. It exports its products to 60 countries. The turnover has grown to an extent of INR 10 billion within 30 years. Ayurveda has the power to rejuvenate the lost glory of the individuals who have lost a significant amount of hair. Due to the natural treatment process and absolutely harmless preparations, these products are highly popular among the urban population of India. 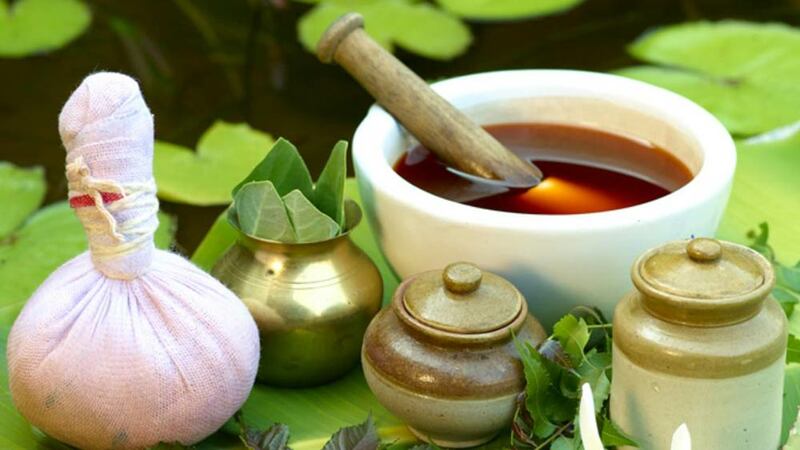 The modernisation of ayurvedic industries is aiding in the growth of the wellness market worldwide. The increase in consumers and number of products will sum up to an estimated $5 trillion by the end of 2050 worldwide. India will be the leading producer of such products due to the rich natural resources. The majority of the population is stressed regarding hair loss which is why the Indian urban market is a very big prospect for an ayurvedic product business. There are many budding and old companies offering products regarding ayurvedic treatment for hair fall like Vrat Ayurveda, Ayurvita, Sricure, Biotique, Casia Herbals, Vishwamangal, Ayulife, etc. The prospective names are delivering great service for the Ayurveda business enthusiasts to set up shops in the urban corners of the country. Needless to say, the products are not only restricted to the hair care section. The varieties and effectiveness of the product lines will be a big hit among the help seekers. Owning a natural product’s business will be very fruitful in the upcoming years as the population is steadily taking up the age-old concept to heal themselves.